The upcoming 2018 Auckland on Water Boat Show is a highly anticipated marine showcase event that will see boating enthusiasts flocking to the Viaduct Harbour later this month. The show, which will take place over four days (September 27th-30th) will likely set a new record for the number of alloy and fibreglass boat manufacturers and importers exhibiting there, says event organiser Stacey Cook. 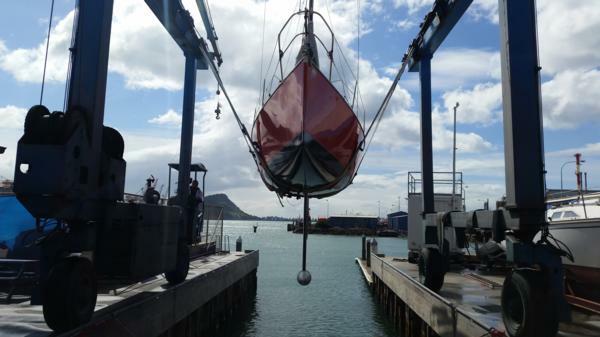 Over 200 businesses, both Kiwi and international, will be making an appearance, with the show being ideally timed for the advent of spring and the rapid approach of summer, when Kiwi boaters and fishermen around the country will take to the waters in droves once again. Boats of all shapes and sizes will be making an appearance at the show, including models from brands such as Surtees, Stabicraft, Blackdog Cat, Fish City Boats, Lazercraft Boats and more. Luxury yachts, trailer boats and custom-built crafts will add variety and style alongside commercial fishing vessels and even eco-friendly hybrid boats. An extensive list of accessories will also be on display, from boating engines to marine electronics, safety equipment to sport fishing gear, and more. For those looking for information on building or improving their own vessels with a bit of DIY, seminars and workshops will also be available. One of the many boating businesses present at the show will be first-time exhibitors, father and son team Glenn and Mitchell Clough of Marine Protection Solutions New Zealand. Exclusive importers and applicators of FLOW™ Silikon technology from Europe, Marine Protection Solutions New Zealand offer a highly efficient, long-lasting, environmentally friendly alternative to more conventional antifouling methods, with adhesive films and vinyl wraps that are easy to clean and completely free of biocides. The team are eager to make their debut at the show, having attended several times before. “We’re pretty excited about it, we’ve been there as visitors a few times and it’s a really impressive show, it’s great to be surrounded by such beautiful boats,” says Glenn. To see how Marine Protection Solutions New Zealand can help keep you boat looking sleek and clean, visit them at stall 328 at Pavilion 3 at the Auckland on Water Boat Show in two weeks time! To purchase tickets for the Auckland on Water Boat Show, click here, or to request a free quote from Marine Protection Solutions today, visit them here!